Set in the hip Vesterbro district, this eco-friendly boutique hotel is about 10 minutes’ walk from Tivoli Gardens and Copenhagen Central Station. The individually designed rooms offer free Wi-Fi and flat-screen TVs. 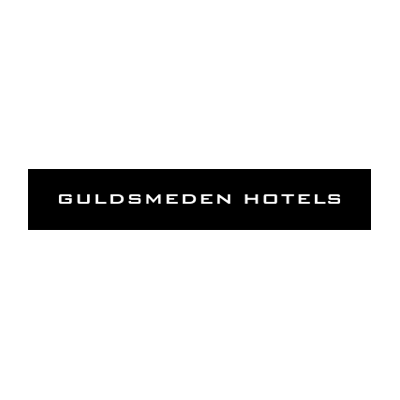 Persian carpets, original artwork and four-poster beds with feather duvets are standard at Carlton Guldsmeden. Organic shampoo, soap and cream products are provided in the modern bathrooms. Guldsmeden’s intimate café lounge features communal balconies and a bar. A 100% organic breakfast buffet is served on hand-decorated Mexican crockery. Frukost ingår Individually decorated room featuring French Colonial decor, a 100% feather down duvet and organic toiletries. Frukost ingår Spacious room featuring French Colonial decor with a flat-screen TV and organic toiletries. Some rooms feature a balcony. Frukost ingår French Colonial inspired room with 100% feather down duvets, a flat-screen TV and organic toiletries. Frukost ingår Spacious French Colonial inspired room featuring a four-poster bed and with a flat-screen TV and organic toiletries. Some rooms feature a balcony. Frukost ingår Individually decorated room featuring a four-poster bed, sofa, flat-screen TV and organic toiletries. Persian carpets and 100% feather down duvets add style and comfort. Children staying must be under 12.